Listening to Didgeridoo Meditation can help you access deep states of relaxation. This didgeridoo meditation album is a composition of duets carefully crafted to guide you through a complete continuum of consciousness. Many of these states induced by this album are normally only experienced during sleep. This music will help you learn to access these “altered states” at any time and will facilitate relaxation, meditation, creativity, sleep, healing, and more. The collection of melodic and primordial sounds experienced on the Didgeridoo Meditation CD has enhanced my practice immensely. Energy and sound have become powerful components of my treatment as a psychologist. 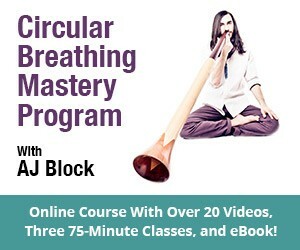 The level of mind-body attunement assisted with the sounds of breath, didgeridoo, and Tibetan singing bowls provided on this CD have helped both children and adults in my practice to become more relaxed and balanced in their lives. The soothing, ancient harmonies touch the earth’s rhythms in ourselves. Helping others to create a sense of well-being and harmony while reducing stress and mental chaos has come full circle from the ancient past to my current practice. When your brain processes two different frequencies simultaneously — say, 100 Hz and 95 Hz — the difference between the frequencies is also manifested as sound, in this case a very low pulse at 5 Hz. 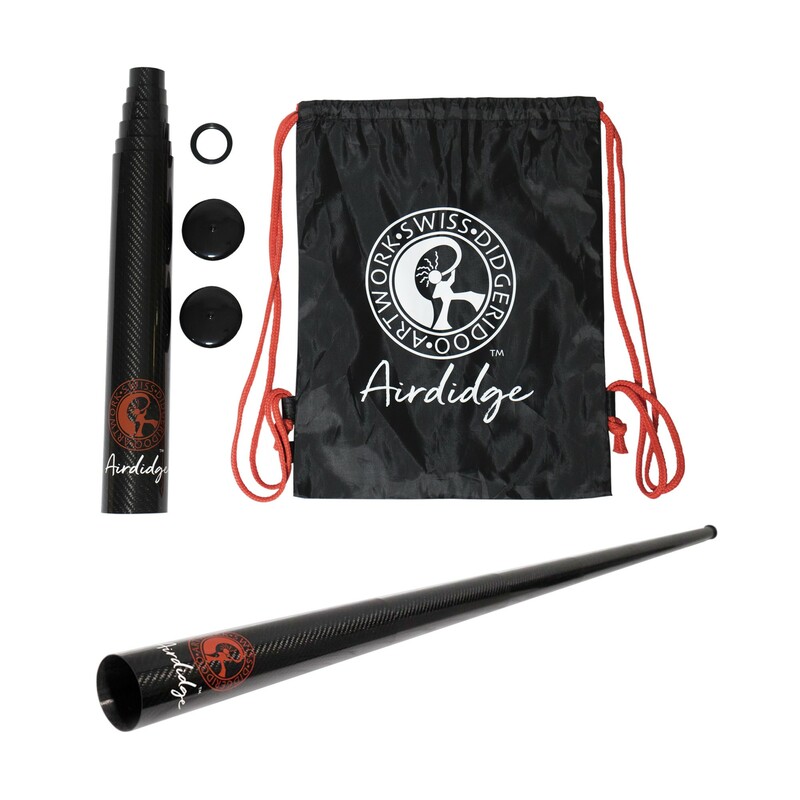 By simultaneously combining the sounds of two didgeridoos, we can produce and control these low pulses. And the brain itself produces electrical activity in waves, which correspond to different states of mind. 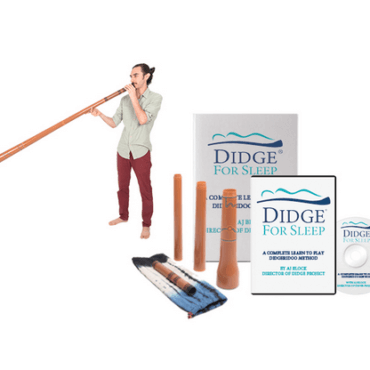 So with two didgeridoos, we can produce a sustained pulse at, say, 4-7 Hz, which mimics the brain’s own theta rhythm — a very deep meditative state. Through a customized set of didgeridoos that we designed specifically for this album, we are able to take the listener on an Odyssey through consciousness, accessing a continuum of brainwave states, from the most active beta state to the deepest delta state. Beta: 12-30 Hz. Normal waking state in adults. Active thinking and planning. 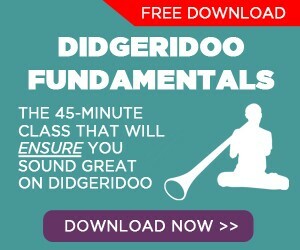 The interval difference on Didgeridoo Meditation begins at 12 Hz, then transitions to 7.5 Hz, 5.5 Hz and 3.5 Hz. We then retrace our steps back to 5.5 Hz, 7.5 Hz and 12 Hz to gently arouse you from your deep state. The more you listen to this album, the better you will be able to completely let go and feel comfortable in these various states of consciousness. Ultimately, you will no longer need this recording as a guide and will be able to access these states on your own. 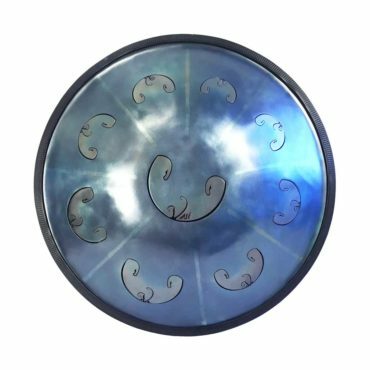 This excerpt comes from the Theta section of Didgeridoo Meditation. We suggest listening on headphones or good speakers.